A man from Mexico who’d been living in Waterloo has been sentenced to more than two years in federal prison for illegally re-entering the U.S. after being deported twice. 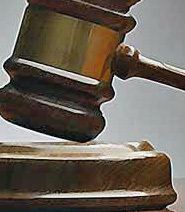 Forty-five-year-old Leonides Osornio-Torres had been convicted in 2003 for distributing more than five pound of meth. He was deported in the summer of 2011. He returned and was deported against in November of 2016. He was arrested this past March in Black Hawk County for public intoxication and providing fake identification. He pleaded guilty in May to illegal re-entry into the United States after being convicted of a felony.